LG thinks it has a shot to take on Sonos with its new Music Flow connected loudspeakers, and it’s banking on two thing: Content and costs. The Korean consumer electronics giant has teamed up with Google to add Google Cast to its Music Flow devices, allowing consumers to cast audio straight from apps like Pandora, Rdio, TuneIn and others. And it may sell its cheapest connected speaker for as little as $100. 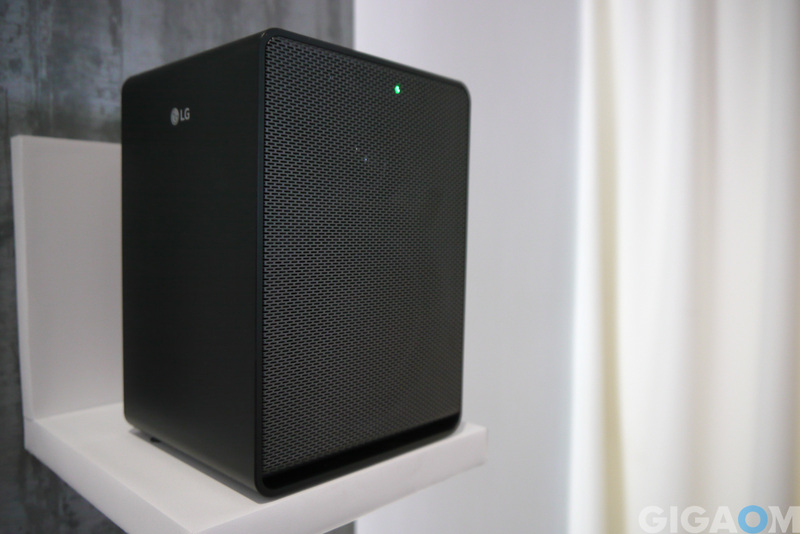 LG is showing off a variety of Music Flow speakers, including a sound bar with subwoofer and a battery-powered mobile speaker, at CES in Las Vegas this week. The company hasn’t announced any firm release date or details on a suggested retail price yet, but I was told by one of the LG spokespeople on the floor that Music Flow speakers will be available this spring, and that the price will be “significantly cheaper” than the competition. I wanted to know more, so I asked another representative, who told me the plan was to sell them for half of what the competition is charging. Neither of them directly mentioned Sonos, but it’s pretty clear that the company is on top of LG’s mind: Even the design of the Music Flow line-up closely resembles the connected loudspeakers that Sonos is selling. However, there are a few differences. Aside from the ability to use Google Cast, LG also allows users to communicate via SMS with their speakers to set alarms, start playback or even automatically generate a playlist for a certain mood. 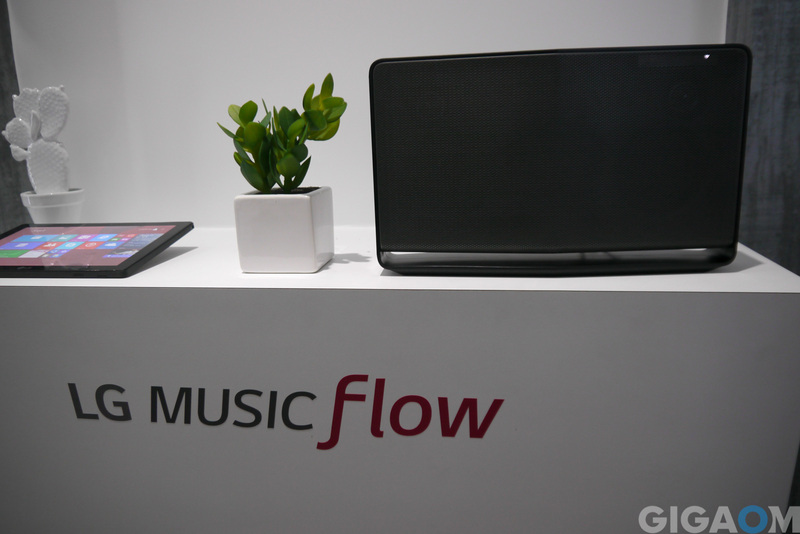 Music Flow speakers come with their own app that can be used to configure zones as well as access third-party music apps, and each speaker connects directly over Wifi without the need for a hub or bridge — something that Sonos also recently added to its products. Google announced on Monday that it is bringing Google Cast, the technology that also powers the company’s Chromecast streaming stick, to connected speakers. 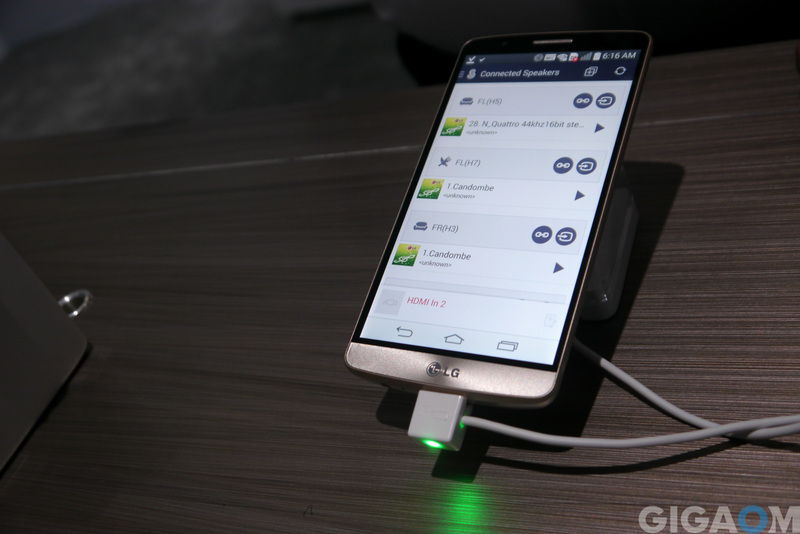 LG, Denon and Sony are all launch partners for what’s being called Google Cast for audio. Sonos’ killer feature is playing multiple rooms *in sync*. The article doesn’t even mention this. Do these other systems do this? Sonos is the most overpriced product on the planet. Polk, Samsung, Sony all provide wireless speaker systems in this price range. If LG wants to differentiate, it needs to compete with Sonos and Bose on sound quality, not just price. Sounds great, but what about the quality? Besides their wireless tech, the sonos products also just sound amazing. Finally, the fact it uses wfi is not a positive feature – this is not the sonos default mode so as to not take up your network bandwidth (sonos can use wifi, but instead prefers its own dedicated mesh network). Yes, you have to have the “bridge” but usually it is discounted very heavily. Competition is always good however, and if the LG is good, then it will pressure sonos to continue to innovate and offer better value.